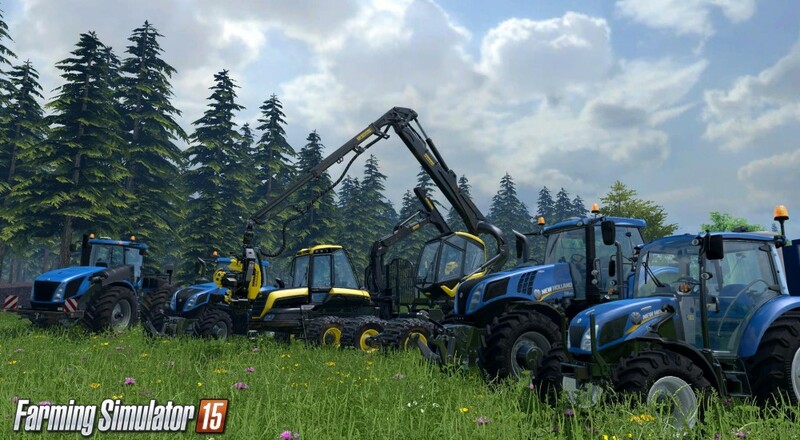 For the first time ever, the world's most exciting farming simulator, Farming Simulator 15, is coming to those who either prefer console gaming, or are afraid of the personal computer and the devilry it holds. Though the game is coming to both current and previous generations of consoles, the 360 and PS3 versions will not contain the online multiplayer afforded to their younger (but cooler) Xbox One and PS4 brethren. Honestly, the trailer below makes it look pretty slick, too. We're not quite sure yet if the console ports will match the PC's 16 player co-op mode, but the trailer seems to indicate that it'll support at least 4 like-minded farming enthusiasts. We'll hopefully have more info on that when the game is ready for harvest on May 19th. For a team dedicated to developing games centered around the act of cutting down mass amounts of veggies, Giants Software seems to be doing pretty well for themselves, with this latest incarnation of the game pulling in over 1,000,000 players. I say good on them! The world needs more varied games, and this makes my dream of playing Master Sommelier Simulator one step closer. Page created in 0.6343 seconds.